I'm trying to find information on this transformer from a printer lamp circuit. The board looks to be a high voltage inverter, I'd guess its to drive a cold cathode lamp tube - that's the typical use of that style of board. Such lamps have largely been replaced by LEDs, so most manufacturers have stopped producing such transformers. Yes, looks like an HV inverter board - common problems on cheaper ones is transformer failure. What do you think the voltage in and out might be on something like that. The dinky little tube is smaller than a straw. I was hoping I could get the specs on that transformer and possibly use it somewhere else. Because it looks exactly like that - if you look at the small blue capacitor you will see that it's rated at 2KV or more (if you can find values on it). Also you said it's from a printer lamp, which will have been a CCFL and require such a high voltage to work. It's a switch-mode transformer, and will be custom designed for that application - they require electronics to drive them, and are useless for anything else. The nearest high-voltage transformer type you are likely to get off-the-shelf is a xenon flash trigger transformer. There are many types of those available, eg. All great information, thank you both for the help with this. The blue cap is rated at 3kv. 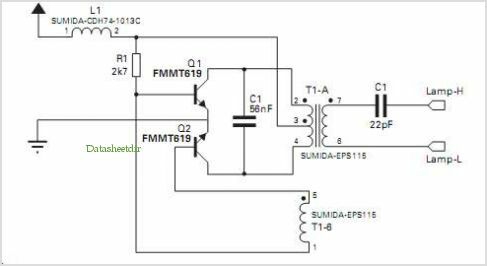 The inverter board powers your backlight by drawing direct current from the motherboard and converting it to alternating current, a much higher voltage. If I have this right I'm seeing more resistance on the secondary which tells me it's a step up transformer.